Deluxe samples at Giorgio Armani Beauty! 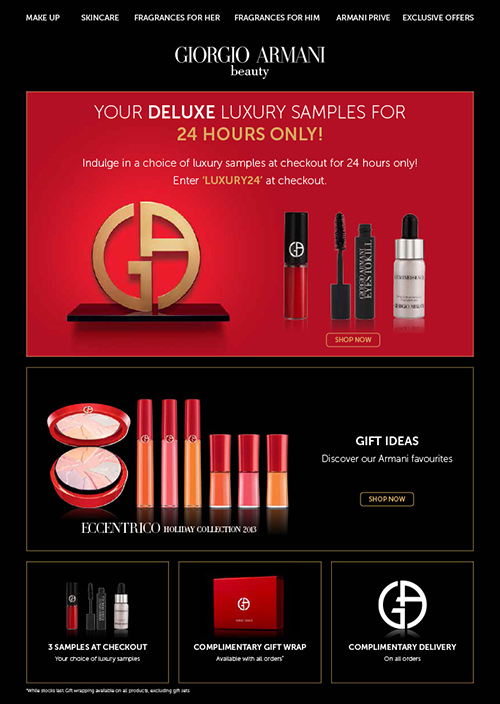 Splashdown design a cyber Monday luxury sample campaign for Giorgio Armani Beauty. Combining the rich red brand colours with the iconic logo and featuring the latest Eccentrico Holiday Collection, the latest news from Giorgio Armani rewarded customers with a deluxe beauty gift for just 24 hours.